The question of what software is patent-eligible subject matter is still evolving. The Federal Circuit in Visual Memory v. NVIDIA, recently weighed in with another guidepost on the way to patent eligibility. In the lower court decision, the district court concluded that the “abstract idea of categorical data storage” was something that humans had been doing for many years. 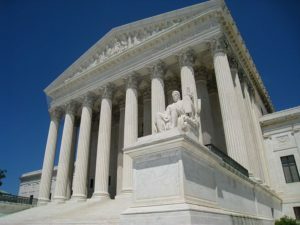 For this reason, the claim ran afoul of the Supreme Court’s Alice rationale that claims cannot “tend to impede innovation more than it would tend to promote it.” This captures the challenges that courts and USPTO examiners currently face from the limited guidance given in the Supreme Court’s Alice decision. 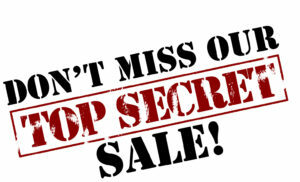 You sell something but keep the details of the sale a secret. Is this still a sale that bars issuance of a patent under 35 USC 102: “A person shall be entitled to a patent unless the claimed invention was patented, described in a printed publication, or in public use, on sale, or otherwise available to the public before the effective filing date of the claimed invention?” The Federal Circuit Helsinn Healthcare SA v Teva Pharmaceuticals, Inc. case answers yes: Secret sales bar issuance of a patent. 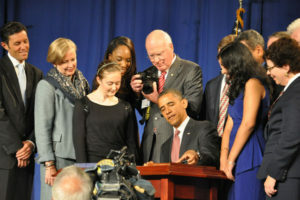 President Obama signs the America Invents Act into law as Senator Leahy looks on. Following passage of the AIA, some commentators and organizations (a few gathered in this excellent Patently-O article), argued that “non-public offers for sale (and non-public uses) would not qualify as prior art under the AIA,” quoting the American Bar Association IP Law Section. The ABA’s and others’ interpretation may have been bolstered by remarks made by Senator Kyl (R-Utah): “And the current on-sale bar imposes penalties not demanded by any legitimate public interest. There is no reason to fear ‘‘commercialization’’ that merely consists of a secret sale or offer for sale but that does not operate to disclose the invention to the public.” Congressional Record at S1371. If an inventor should be permitted to hold back from the knowledge of the public the secrets of his invention; if he should for a long period of years retain the monopoly, and make, and sell his invention publicly, and thus gather the whole profits of it, relying upon his superior skill and knowledge of the structure; and then, and then only, when the danger of competition should force him to secure the exclusive right, he should be allowed to take out a patent, and thus exclude the public from any farther use than what should be derived under it during his fourteen years; it would materially retard the progress of science and the useful arts, and give a premium to those who should be least prompt to communicate their discoveries. 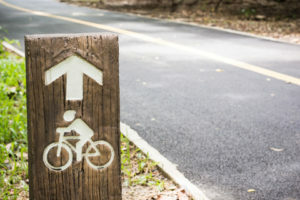 Helsinn is likely on its way to appeal to the Supreme Court because of the potential conflict between its holding and the statute, but for now, secret sales still trigger the on-sale bar. 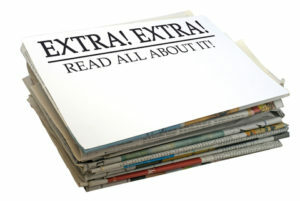 You can read the latest March News here, or sign up for it here. According to the Patent Trial and Appeals Board, the 11th Amendment shields public universities from IPR challenges. The 11th amendment reads, “The Judicial power of the United States shall not be construed to extend to any suit in law or equity, commenced or prosecuted against one of the United States by Citizens of another State, or by Citizens or Subjects of any Foreign State.” The case has not gone higher than the PTAB at this point but this is good news for public universities with large patent portfolios. It will be interesting to see how this might apply to public university licensees. See Covidien LP v. University of Florida Research Foundation Inc., Case Nos. IPR 2016-01274, 01275, and -01276 (PTAB January 25, 2017). For reasons unknown, the identity of the USPTO director was unclear since President Trump’s inauguration. In response to FOIA requests from Patently-O’s Dennis Crouch, the USPTO now confirms that Michelle Lee is still Director. 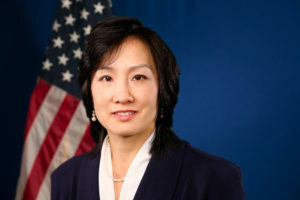 [T]he Agency is responding that Michelle K. Lee is the Director of the United States Patent and Trademark Office and Anthony P. Scardino is the Acting Deputy Director of the United States Patent and Trademark Office. Odin, Thor, Loki. I knew the names but not the stories. 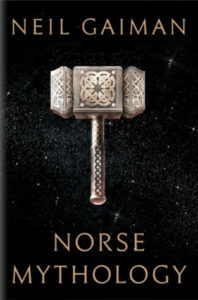 Gaiman is a lover of myth and there could be no better guide to these tales than him. Enjoy hearing these tales sounding over hundreds of years echoing in Northern European fjords. This is a dense read that explores the story of the Morgan empire, and particularly the early years and the company’s adherence to its values. 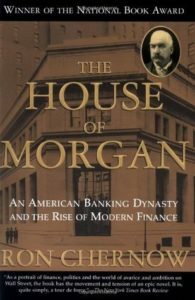 In later years, it was interesting and unfortunate to see the rapid culture shift in the Morgan companies. Get this right: Caro has written, at least on volume 1, a five star bio. Tons of details. Well researched. Great quotes. Thorough timeline. Detailed settings. But read this though and ask: Did Johnson have a redeeming quality? At all? 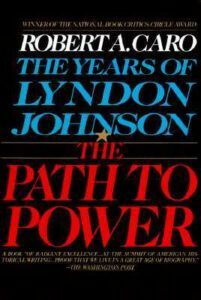 We all know what LBJ did on civil rights but that’s in a later volume: You may have to fortify yourself to get to that part of the story. 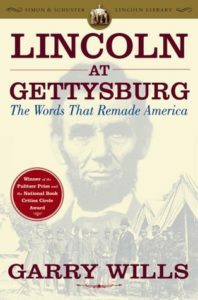 Deep treatment of the Gettysburg Address. Fun, stimulating, short read. Excellent exploration of the Address’s historical/philosophical echoes.